Economists assume that people make choices based on their preferences and their budget constraints. The preferences and values of others play no role in the standard economic model. This feature has been sharply criticized by other social scientists, who believe that the choices people make are also conditioned by social and cultural forces. Economists, meanwhile, are not satisfied with standard sociological and anthropological concepts and explanations because they are not embedded in a testable, analytic framework. 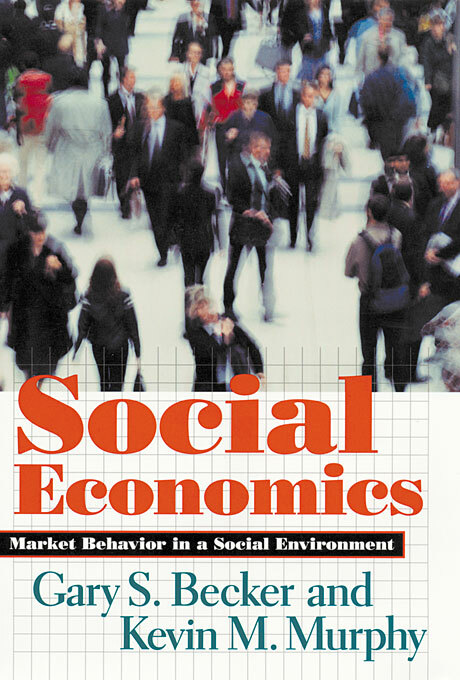 In this book, Gary Becker and Kevin Murphy provide such a framework by including the social environment along with standard goods and services in their utility functions. These extended utility functions provide a way of analyzing how changes in the social environment affect people’s choices and behaviors. More important, they also provide a way of analyzing how the social environment itself is determined by the interactions of individuals. Using this approach, the authors are able to explain many puzzling phenomena, including patterns of drug use, how love affects marriage patterns, neighborhood segregation, the prices of fine art and other collectibles, the social side of trademarks, the rise and fall of fads and fashions, and the distribution of income and status.